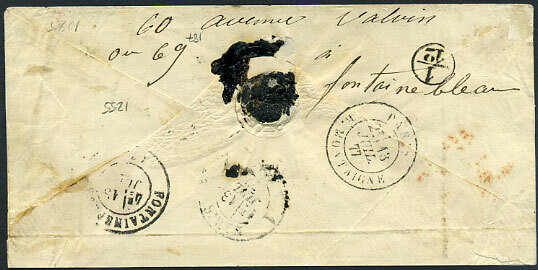 1853 outer wrapper with page of content in French on reverse to Bordeaux, France with perfectly positioned ST. LUCIA dbl-arc dated 22 FE 1853, full transit marks plus red framed COLONIES/& ART.13. 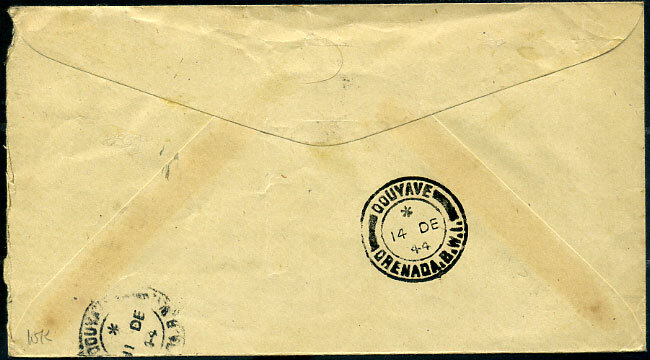 Exhibition item. 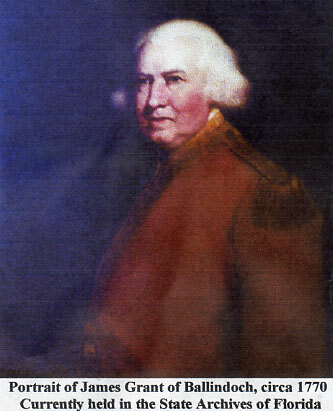 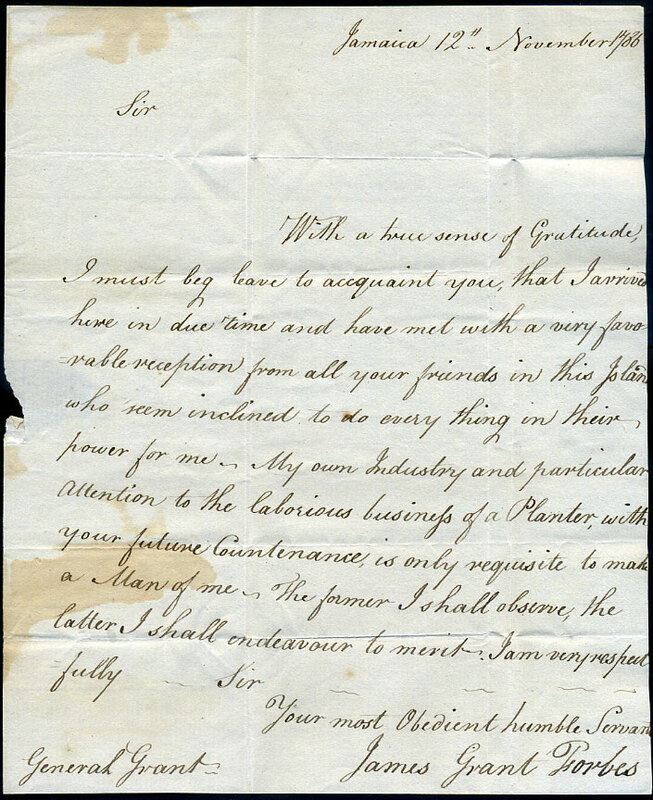 1786 entire headed "Jamaica 12th November 1786" from newly arrived James Grant Forbes to his father Lieut. 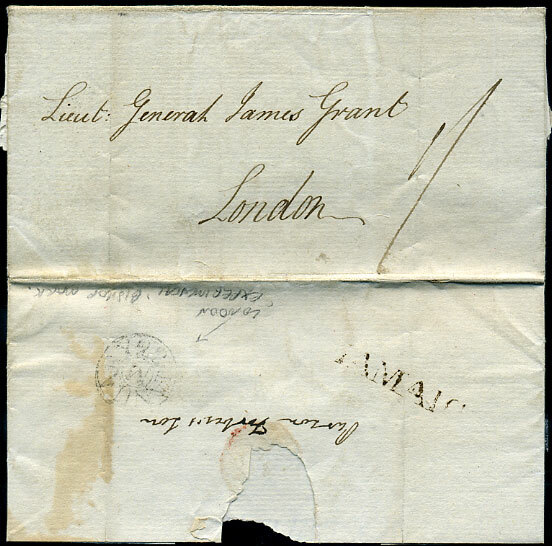 General James Grant in London rated 1/- with "IAMAICA" and JANUARY/M/22 experimental Bishop mark on lower flap. 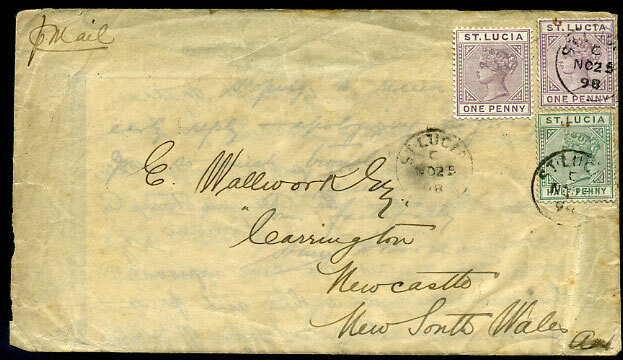 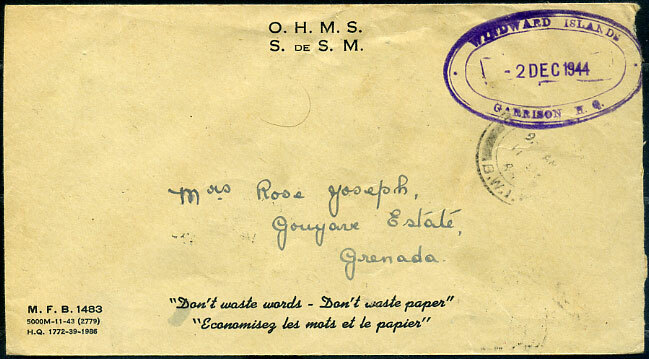 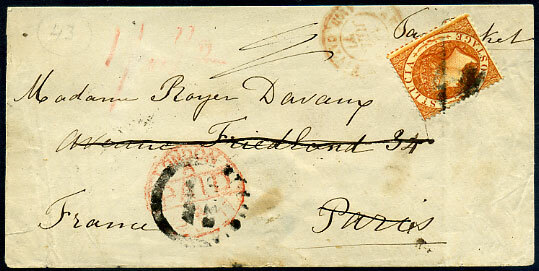 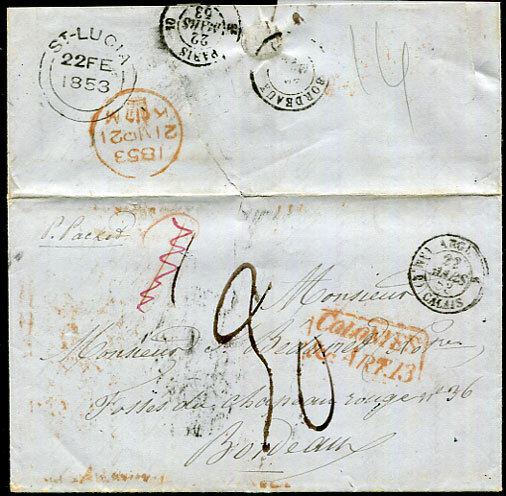 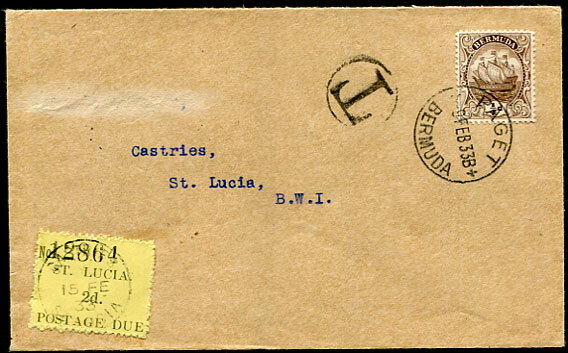 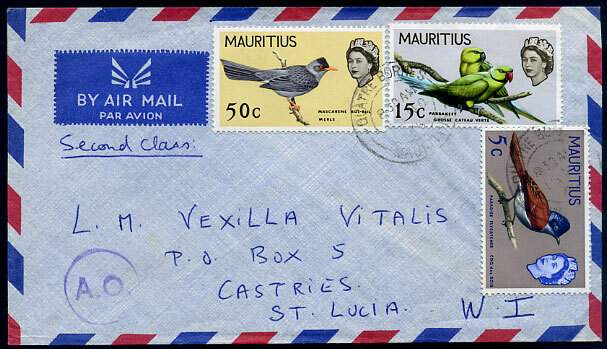 1877 cover with 1/- deep orange (SG.18a) pmk'd black "A11" smudge with similarly poor ST. LUCIA JU 28 1877 despatch dbl-arc to Paris, France re-directed to Fontainebleau (in the inverted position) on reverse. 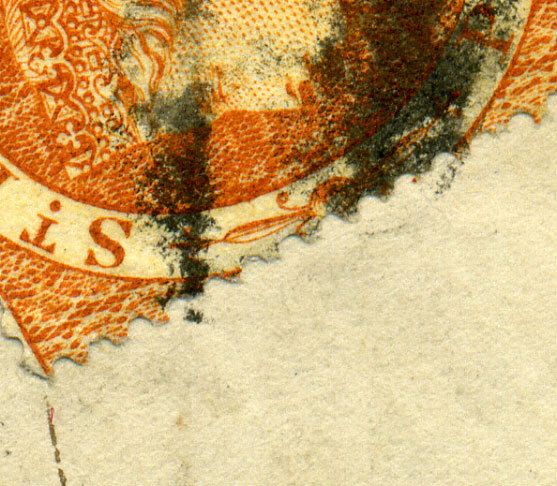 There is no indication that the adhesive belonged elsewhere, and the black smudge just extends onto the cover. 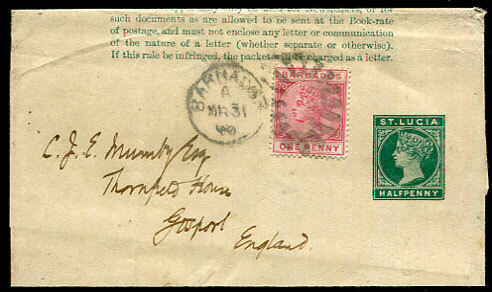 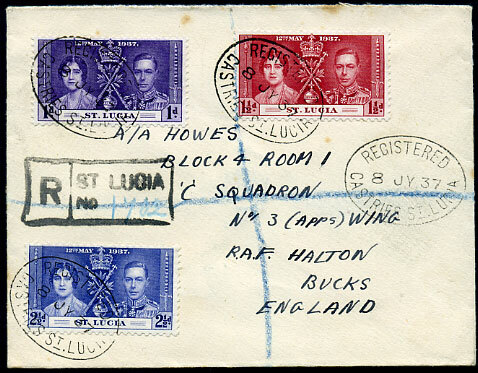 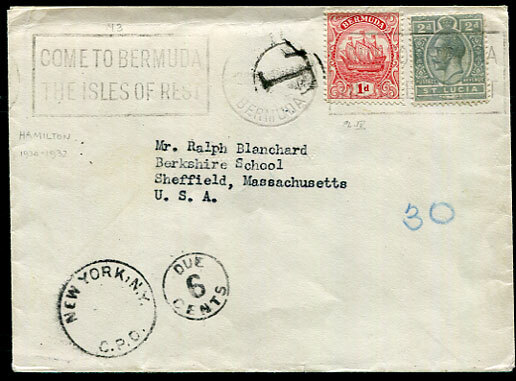 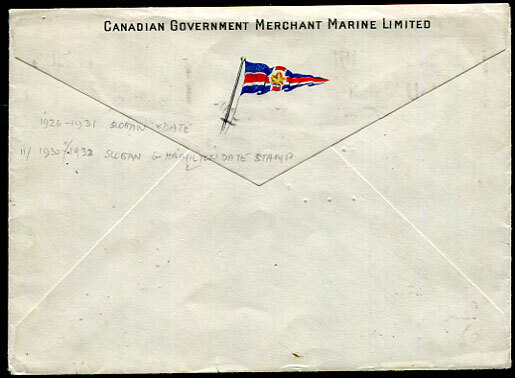 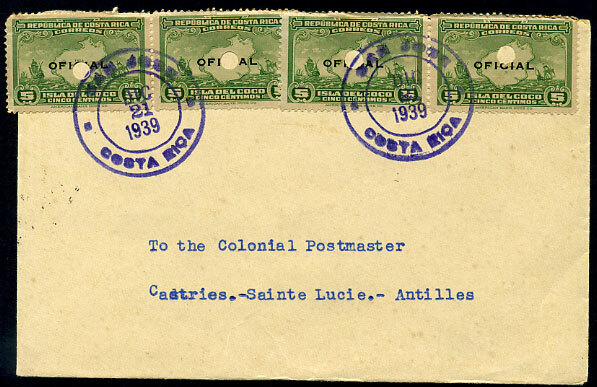 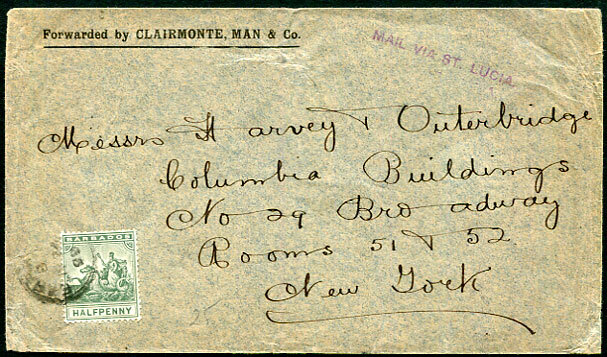 Note the black vertical line in the cancel which matches the vertical crease below (and reverse) which strongly suggests there was an enclosure partly causing the poor strike. 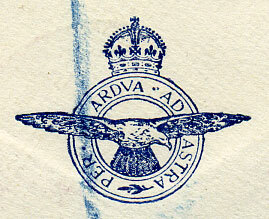 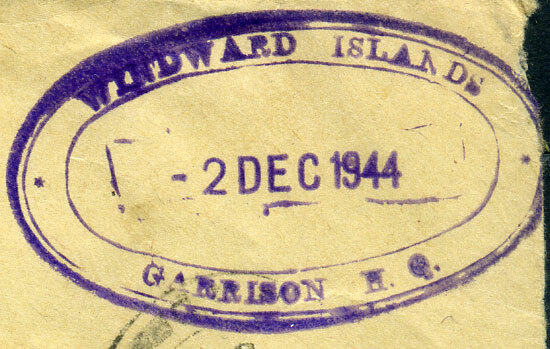 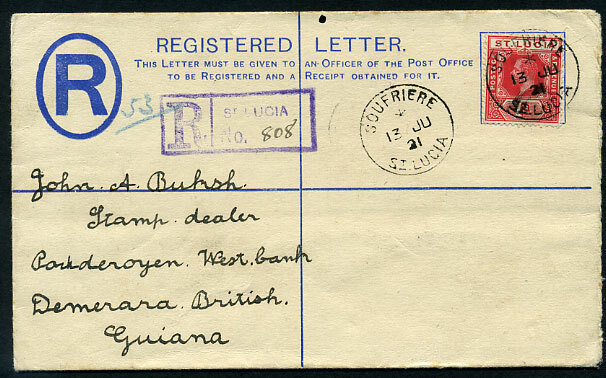 */13 JU 21 on KGV 2d blue PSRE with added KGV 1d to Demerara.